February sales at General Motors and Ford Motor Company were a bit worse than analysts expected, while Fiat Chrysler was off just 1 percent, and Toyota Motor posted a nice gain. 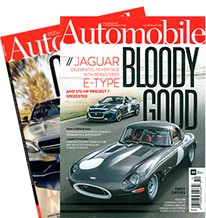 Total U.S. sales appeared to be running at a Seasonally Adjusted Annual Rate of 17.1 million, off 2.3 percent versus February 2017, but ahead of analysts’ expectations of 16.9 million. Fiat Chrysler’s numbers included a 17-percent jump for the Jeep Wrangler, which last month consisted of a combo of new JL and old JK models. Ram 1500 sales slid, with a new model on the way in a couple of months. 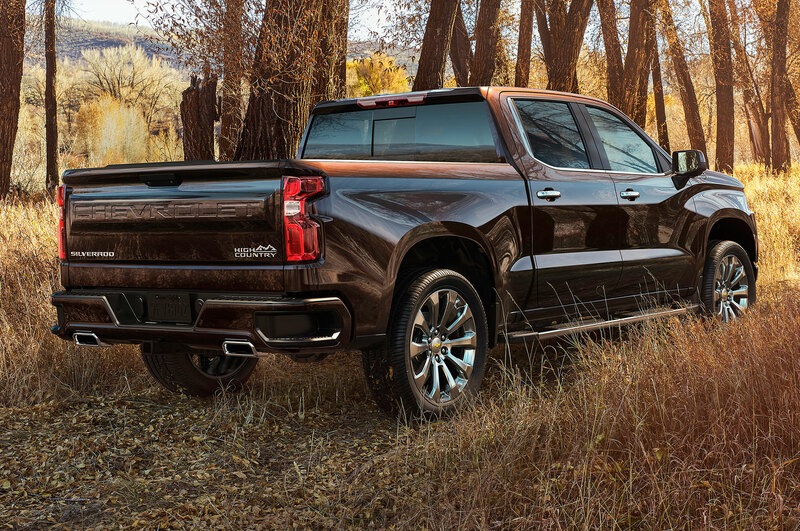 Sales of the Chevrolet Silverado dropped, too, though the new version of that truck doesn’t hit the market until autumn, and GM attributed the Silverado’s, and all of Chevy’s sales drop to comparisons with a particularly strong February 2017. So far, 2018 is off to a very strong sales start—just not quite so strong as the records set in 2016 and ’17. 1. General Motors: 220,905, off 6.9 percent. Chevrolet sales fell 8.8 percent, to 149,605, and the Silverado’s 16.3-percent fall to 42,282 (-8,222) accounted for more than half the division’s 14,490-unit drop. GMC was off 8 percent, to 42,640, with Sierra down 25.3 percent, to 13,162. Chevy Colorado was up 7.1 percent, however, to 8,050. GMC Canyon sales lost 22.1 percent, to 2,319. The Chevy Bolt EV, at 1,424, up 49.6 percent, seems to be taking share from the Chevy Volt, down 46 percent, to 983. Chevy Cruze dropped 16.2 percent, to 12,875, while Traverse sales rose 10.2 percent, to 11,548 and Equinox was up 7.1 percent, to 24,053. Buick inched up 1.2 percent, to 16,322 with the new Regal spiking 126.6 percent, to 2,318. Cadillac sales rose 14 percent, to 12,338, on strength of XT5, up 8.8 percent to 4,668, and XTS up 44.5 percent, to 1,943. Despite strong competition from the new Ford Expedition and Lincoln Navigator, Chevy Suburban was up 27.6 percent, to 5,004, though Tahoe dropped by 9.3 percent, to 6,948. GMC Yukon slid 20.8 percent, to 2,936, and Yukon XL was down 32.1 percent, to 1,785. Cadillac Escalade sales rose 16.8 percent, to 1,675, and ESV dropped 7.9 percent, to 932. 2. Ford Motor Company: 194,132, off 6.9 percent. Ford was off 6.1 percent, to 187,432 and Lincoln was down 23.4 percent, to 6,700. F-Series ticked up 3.5 percent, to 68,243. Mustang, down 30.1 percent to 5,800, slid behind Dodge Challenger, which was off by 14 units (0 percent) to 6,093 in Pony Car Wars. Chevy Camaro dropped 21 percent, to 3,680. Ford Mustang leads year-to-date, however. 3. Toyota Motor Sales: 182,195, up 4.5 percent. Toyota Division was up 4.4 percent, to 162,930, and Lexus rose 5.1 percent, to 19,265. Camry was bestseller, at 30,865, up 12.2 percent, edging out RAV4, at 29,867, up 13.3 percent. Corolla was off 7.9 percent, to 25,021. Toyota 86/Scion FR-S dropped 40.1 percent, to 361. Tacoma was up 18 percent, to 16,817, and Tundra was up 10.3 percent, to 7,977. Lexus RX was up 8.4 percent, to 7,238 and NX sales spiked 21.3 percent, to 4,263. ES was off 0.9 percent, to 2,685, while LS gained 86.4 percent, to 548. 4. Fiat Chrysler: 165,903, off 1 percent. Chief moneymaker Jeep posted a 12-percent gain, to 70,020 on the strength of the new Compass at 16,026, up 486 percent over last year (which was all old Compass). 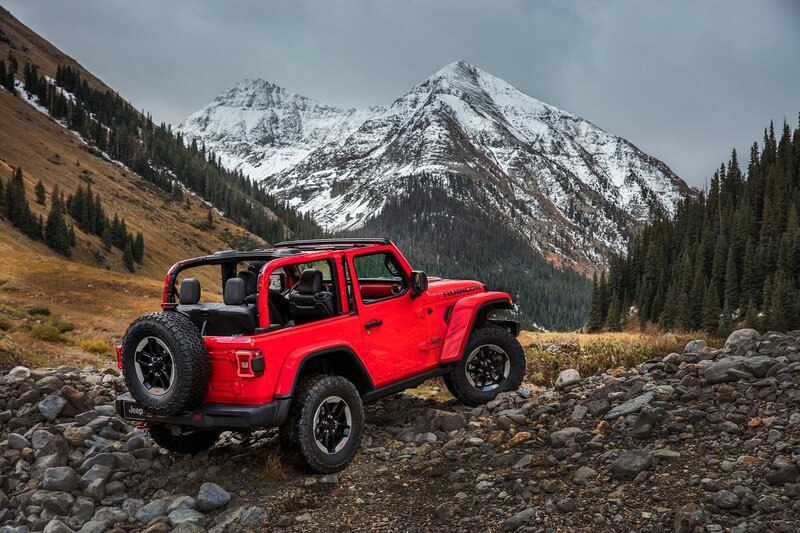 A mix of the new JL Wrangler and the old JK Wrangler was up 17 percent, to 15,936. Last month, four of Jeep’s six model lines posted five-digit sales numbers. Cherokee was off 10 percent, to 12,225 and Grand Cherokee was off 8 percent, to 17,468. Ram was off 14 percent, to 36,737, with the 1500 pickup down 15 percent, to 33,299. Dodge was off 8 percent, to 40,187. Charger sales rose 9 percent though, to 7,568. Chrysler was off 3 percent, to 16,150, with Pacifica up 27 percent, to 11,482 and 300 down 17 percent, to 4,449. Fiat sales slid 42 percent, to 1,241, with 500 down 63 percent, to 416, and 124 Spider down 26 percent, to 223. Alfa Romeo outsold Fiat, at 1,568, up 254 percent. Alfa sold 853 Giulias, up 108 percent, and 695 new Stelvio SUVs. 5. Nissan Group: 129,930, off 4.3 percent. Nissan division was off 4 percent, to 117,110, and Infiniti was down 6.7 percent, to 12,820. With sales of the new Rogue Sport having been added to Rogue numbers last year, the bestseller was up 15 percent, to 38,119. Altima dropped 25.3 percent, to 19,703, but still outsold Sentra, up 7.1 percent, to 17,148. Leaf was down 13.7 percent, to 895. Titan was up 25.9 percent, to 3,761. Infiniti Q50 was up 13.4 percent, to 3,904, and QX60 rose 46 percent, to 3,880. 6. American Honda, 115,557, off 5 percent. Honda division was 5.6 percent, to 104,588, while Acura ticked up 1 percent, to 10,969. CR-V dropped 19 percent, to 25,852, but barely edged out Civic as bestseller, the latter of which was off 4.5 percent, to 25,816. Accord lost 15.8 percent, to 19,753. Honda says this is a strong showing for a midsize sedan with no fleet sales. Pilot, up 48.9 percent to 12,056, and Odyssey, up 3.4 percent to 7,034, were bright spots for the automaker. RDX led Acura, off 6.5 percent to 3,766, followed by MDX, off 5.8 percent to 3,337, and TLX, up 16.1 percent, to 2,794. 7. Subaru: 47,249, up 3.8 percent. Outback remains the brand’s sales leader, up 4 percent to 14,021,while Forester fell 9.2 percent, to 11,640. Crosstrek was up 60.7 percent, to 10,625, marking the best ever February for both Outback and Crosstrek. 8. Hyundai: 46,095, down 13.1 percent. Hyundai brand sold 44,732 last month, down 13 percent, and Genesis sold 1,363, down 13.8 percent compared with Genesis/Equus models last year. Hyundai’s bestseller was the Elantra, down 1.5 percent, to 15,724. Santa Fe was up 8.1 percent, to 9,474. Sonata demand collapsed, falling by 54.2 percent, to 6,700. Tucson was up 31.4 percent, to 8,438. Genesis G80 was down 13.5 percent, to 1,086. Genesis sold 277 G90s. 9. Kia: 40,672, down 4.7 percent. Soul sales were 6,631. Sportage sales totaled 5,231. Sorento sales were 7,236 and Optima sales were 6,402. 10. Mercedes-Benz USA: 27,894, up 1.9 percent. The Mercedes brand was up 1.0 percent, to 24,760, while Benz van sales were up 20.5 percent, to 3,028. Smart was down 69.5 percent, to 106. Mercedes C-Class was down 35.8 percent, to 8,366 and E-Class/CLS was up 24.2 percent, to 4,312. GLA-Class down 15.2 percent, to 1,860, while GLC was up 95.4 percent, to 5,403. GLE was down 10.5 percent, to 3,595, and GLS was down 25.4 percent, to 1,840. 11. Volkswagen: 26,660, up 6 percent. VW sold 4,766 new Atlases last month, and 7,486 new Tiguans. The Tiguan Limited (the old model) added another 1,855, compared with 3,425 of the last generation Tiguans last year. With a new model on the way, Jetta sales slid 42.7 percent, to 4,592, while Golf was off 38.4 percent, to 3,601. Passat was down 50.3 percent, to 3,036. 12. BMW Group: 26,573, up 7.5 percent. BMW brand up 4.2 percent, to 23,508. Mini up 42.3 percent, to 3,065. The 3 Series was down 3.5 percent, to 4,255 and 4 Series was down 24.5 percent, to 2,124. The 5 Series was up 16.6 percent, to 3,185. 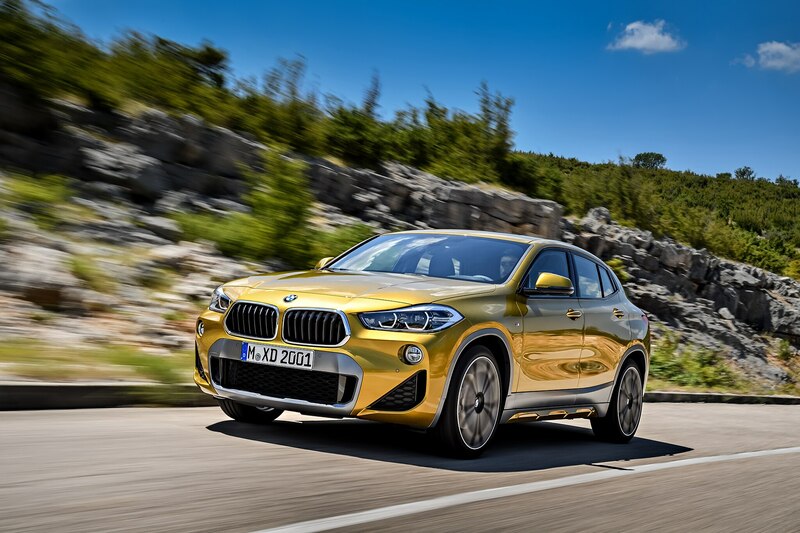 X5 sales were up 2.7 percent, to 4,006, and X3 slid 18.4 percent, to 3,281. Countryman was up 621.8 percent, to 1,357. Clubman fell 41.9 percent, to 290. The Mini 2-Door Hardtop was up 5.1 percent, to 715 while the 4Door was down 9.8 percent, to 434. 13. Mazda: 25,731, up 12.7 percent. Mazda says last month was its best February since 1994. CX-5, up 68.7 percent to 13,216, continues to leave former brand bestseller Mazda3 behind – a sign of the times. The compact car was off 11.3 percent, to 6,070. 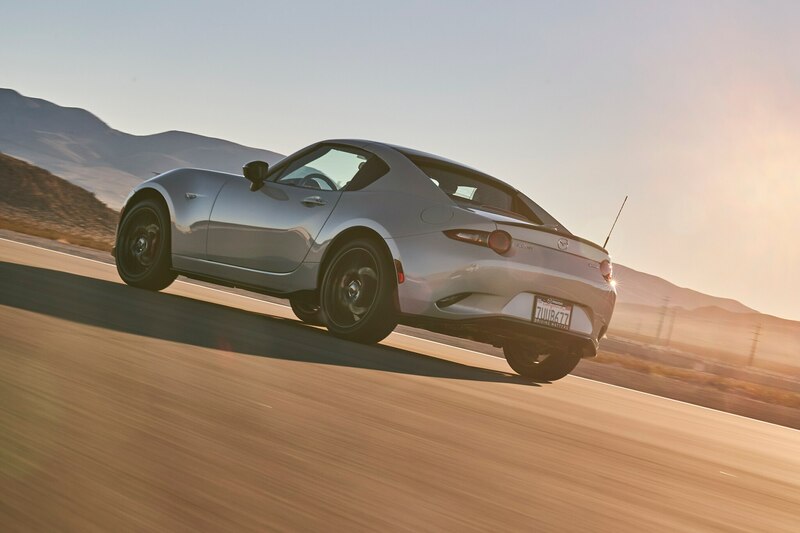 MX-5 Miata dropped 41 percent, to 654. Combined sales with the Fiat 124 Spider totaled 877. 14. Audi: 15,451, up 12 percent. Q5 up 36 percent, to 4,469. Q7 down 6 percent, to 2,321. A4 down 8 percent, to 2,331 and A3 21 percent, to 1,510. A5 467 percent, to 1,888. A6 down 23 percent, to 842. 16. Mitsubishi: 12,973, up 18.8 percent. Outlander Sport sales totaled 5,377, and Outlander sales were 5,290. Mirage sales totaled 1,323, and Lancer moved 611 units. 15. Jaguar/Land Rover: 9,013, down 2.4 percent. Land Rover was up 19 percent, to 6,828, while Jaguar slid 37 percent, to 2,185. Range Rover sold 1,561 Velars. 17. Volvo: 6,283, up 35.1 percent. The XC90 up 38.1 percent, to 2,149. 18. Porsche: 4,382 up 20.5 percent. Macan sales slid 4.4 percent, to 1,506, and Cayenne was off 9.1 percent, to 1,051. 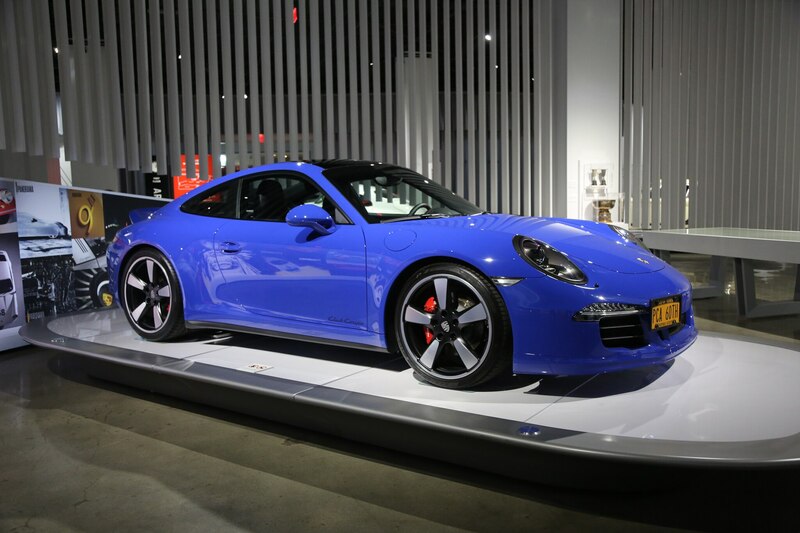 Porsche’s 911 line led cars, up 40.4 percent, to 775. The technology is fascinating, but the best thing might be how it looks.